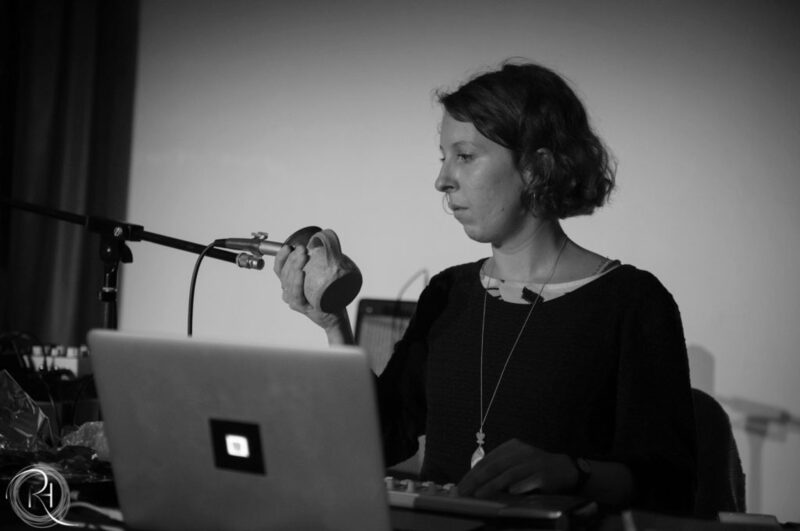 Alexandra Spence is a sound artist/musician from Sydney, Australia. She works within the fields of audiovisual installation, composition, and improvised performance. Alex is interested in the idea of listening as an active practice. She is inspired by the idea of ‘collaborating’ with one’s environment, understanding the relationships between the listener, sound, and the surrounding environment to be a kind of communion or conversation. Her work favours subtlety, quietude and unusual sound sources. Alex has performed and presented work in concerts, festivals, symposiums and galleries in Australia, Canada, and Europe, including the Vancouver Art Gallery, CA; Destroy Vancouver, CA; Toronto International Electroacoustic Symposium, CA; the Engineroom International Sound Art Competition, UK; the Women In Sound/Women On Sound forum: Educating Girls in Sound, Lancaster, UK; the FKL Symposium, Besenello, IT; the NOW Now Festival, Sydney, AU; Vivid Festival, Sydney, AU; Gaffa Gallery, Sydney, AU. In collaboration with artist Katrina Stamatopoulos, Alex has presented work at Is This Art? dLux Media Arts, Sydney, AU; DAS2015, Belfast, IE; and Festival Images Contre Nature, Marseille, FR. Alongside Rebecca Bruton she is the co-curator of Tidal~Signal Festival, which takes place in Vancouver, CA and aims to highlight women & transgender artists working in left-field genres. Alex was recently awarded the Freedman Foundation Travelling Scholarship for Emerging Artists, and is a graduate of the MFA interdisciplinary arts program at Simon Fraser University, Vancouver, Canada.